Rookie Scrivener: Who You Callin' a Rookie? With all due respect to the Webster clan, I define rookie as hungry, willing to work harder than anyone else just to get on the play-field, talented, maybe raw, but driven. The rookie wants to outdo himself and improve -- the rookie wants the chance to shine. But in my eyes, it's not a destination, it's a journey. You are never done, until the day you die. So let's get something straight, a Rookie is not an Amateur. A Rookie is not "less than." It's a state of mind, it's an attitude, it's an approach to life and the challenges that comes our way. My blog is named "Rookie Scrivener." If both fortune and grace are on my side, and one day I am a published novelist, I hope I never lose sight of the importance of being, and remaining, a rookie. I like to believe that if Rookie wasn't defined by "time" but by the "attitude" then we could apply that definition to people like Michael Jordan until the day he retired. 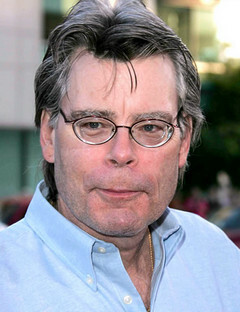 Or Stephen King. Or JK Rowling. What do I mean? With each progressive book these masters have gotten better, or at a minimum maintained their level of genius. It's not an easy task. In fact, it's nearly impossible. Statistically speaking, the probability of recreating this level of genius is not much better than zero. This is why these people are outliers. They don't belong in the normal distribution of humans. In short, Rookie's can be one-hit wonders. But not those that never take their life or craft for granted. Let's look at the Beatles. With each album they broke new ground. They continued to redefine the landscape of music, creating new sounds and variations. Music was never the same again after the Beatles. Then they broke up. The individual members of the Beatles were still amazing... and they created some fantastic music. But... (there's always a but)... would Paul McCartney get a record deal today? Okay before you send me hate letters, hear me out. Listen to some of his music after the Beatles and Wings. I mean, come on! Was this the same guy that wrote Yesterday? His popularity today is not because of the great new material he writes now, but due to his past genius. We give him a pass. He is no longer a rookie. He has lost that mojo, that something that made him a living legend. I suppose it will happen to all of us. We will lose that edge one day. I for one hope to always be a rookie. Go ahead call me a rookie. You've never said anything more complimentary. Whatever may be your passion, I hope you never give up, you never assume you know it all, you never claim you've figured it out, you never think you're too old to learn new things, you never look back with regret. I will try to string more 'first's together. There is always something new to learn, to reach for, to try. Kimberly, congrats on your novel! Can you give me some more information? Title, date, links. Best of luck and I love your take on this. Each time it's the 'first' time. We would probably appreciate a lot more in life if we lived this way, every day. Great, inspiring thoughts, as always. Kathryn, beautifully stated and spot-on! Those that do everything with passion are intoxicating. Those are the real leaders in our lives/communities. Thank you for contributing.